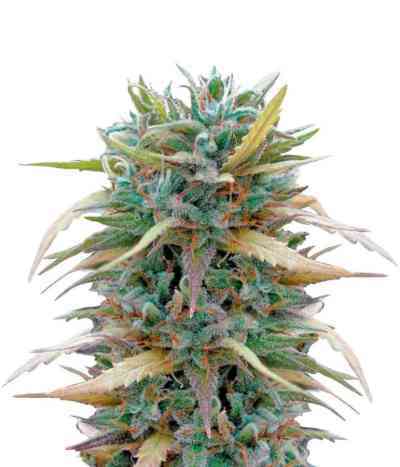 The Hashplant Haze, formally known as Anunnaki, is a great yielding strain which produces huge amounts of redish hash. The uplifting high is enjoyable throughout the day. It is advisable to flower her right from clone and to supercrop her often to control the size. She grows well in the Sea-of-Green method and is not sensitive to nutrients. This sativa dominant strain produce buds late in the flower cycle. The taste is that of fruity, hashy, haziness with an earthy, hazy aroma.